Chris Sutton has launched another stinging attack on Brendan Rodgers, after claiming 'Celtic reserves are bigger than Leicester City'. 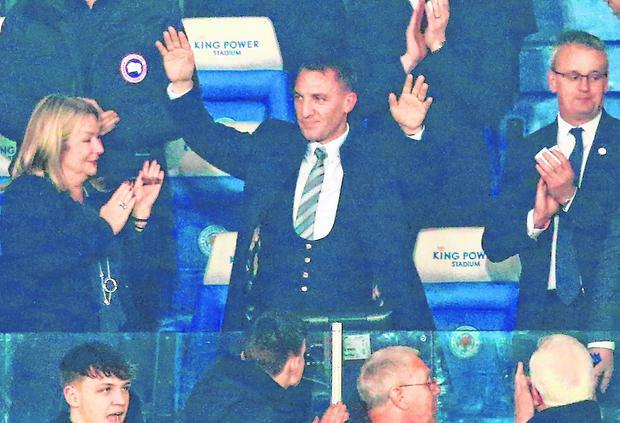 Former Celtic striker Sutton has been outspoken in his criticism of Rodgers after he left Celtic to take over at Leicester earlier this week, at a moment when the Scottish champions are at a pivotal point a season that could end with three domestic trophies. Speaking to BT Sport, Sutton argued Rodgers should have waited until next summer to make his return to the Premier League, as he didn't hold back with these comments. "The bottom line is if Brendan Rodgers is a Celtic fan and this is his dream job, just see it through to the end of the season," stated Sutton. "Nobody will have a problem with that. He has downsized, downgraded going to Leicester City and that is a fact. Celtic reserves are bigger than Leicester City." Sutton believes Celtic and Rangers would quickly emerge as major contenders for trophies in England they were allowed to join the Premier League, as he insisted the stature of Scotland's two top clubs will always be greater than that of a club such as Leicester. "If Celtic and Rangers came down into the English Premier League, in a short space of time, and there is an argument that they may have done, they would challenge eventually because of the size of the clubs, that is a fact," he added. "That was close to happening in the early 2000s when Martin O'Neill was manager and they would challenge. The likes of Leicester are insignificant in terms of club size."